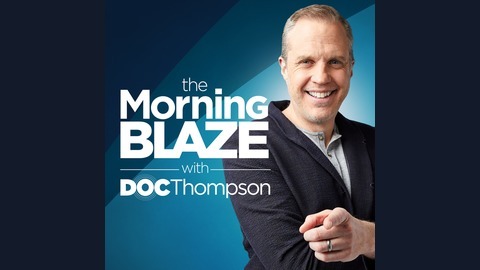 Heard on TheBlazeRadio.com or TheBlazeTV.com every weekdays at 6a-9a(et) Follow me on Twitter! @DocThompsonShow Follow me on Facebook! fb.com/DocThompsonShow. Hour 1 Jeffy v. the city of Ft. Worth… Visit MercuryOne.org to help out those who were hit by Hurricane Michael… Kanye West had lunch with the president… We look at Kanye’s ‘Yeezy’ company. 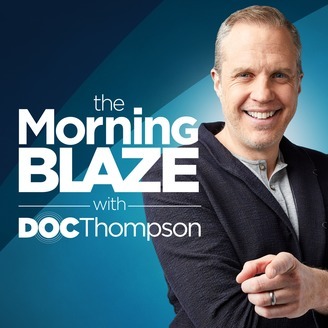 Hour 2 This is the last episode of ‘The Morning Blaze’… Postal worker caught stealing and selling stamps… We take a look at how unstable the Democrats are thanks to Washington Free Beacon… Sears is on its way down the drain and we take a look at the sad pictures of the remaining stores. Hour 3 Sarah Mackenzie and Michael Santora join the show to talk about The Office! A Musical Parody… Forbes creates a list of the top 50 companies… Pat joins the show to talk about his new show time starting next week at 6 am ET!